How do I find out what prior claims my insurance company might rely upon in determining whether to issue me a policy or determine my insurance rates? 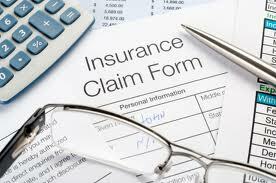 Insurance companies go through an underwriting process, which includes reviewing past claims amongst other matters. To find out about prior claims, many carriers subscribe to a service known as A-PLUS (sometimes called ISO), which is a property and liability database designed for insurance underwriters. A-PLUS serves as a clearinghouse for claims data from many different insurance companies. The data shows the claims histories of individuals and properties. Participating insurers can search the database to find information for underwriting, to verify claims information provided by insurance applicants, and to help prevent fraud on applications for insurance. A-PLUS property reports provide up to five years of information on all types of loss, including: fire damage; flood damage; earthquake damage; burglary; credit card theft; workers compensation; and medical payments. To insure that the information being relied upon is accurate, you are entitled to full disclosure of any data regarding your own claims that may be in the A-PLUS database. ISO releases the information within 10 days of receiving a signed “Request for Disclosure” form. To obtain a copy of the form, or for more information, call 1-800-709-8842, or write to: A-PLUS Consumer Inquiry Center, ISO, 545 Washington Boulevard, 22nd Floor, Jersey City, NJ 07310-1686. The standard price for a loss-history report is $19.50. However, you can get a copy of your report free of charge if an insurer took an adverse action against you – for example, if an insurer denied coverage within the past 60 days – based on a report submitted to A-PLUS by a participating insurer. If you disagree with or dispute the accuracy of information in the A-PLUS database, A-PLUS will contact the insurer that submitted the claim and request an investigation. Pending the outcome of the investigation, it will add a statement of dispute to your claims record if you request it. If the insurer does not investigate the disputed claim within 30 days of notification, A-PLUS will delete the claim from the database. If, after investigation, the insurer stands by the claim and does not agree to remove it, you may submit a statement of dispute on that claims record. Your statement of dispute then becomes available as part of the A-PLUS report in any future inquiries by any insurer. For more information, go to www.iso.com.